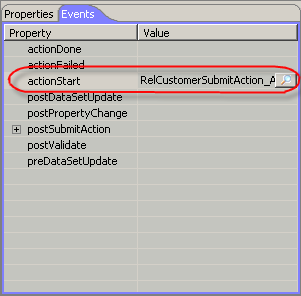 Q: In Search Grid Control, I want to write “double click” event but I could not find this event in Search Grid properties. Could you show me how to implement this event? 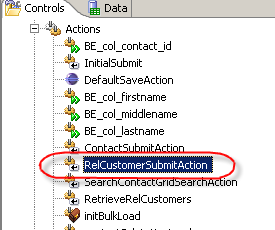 Now we add a new Submit action named RelCustomerSubmitAction to perform the search in the database. 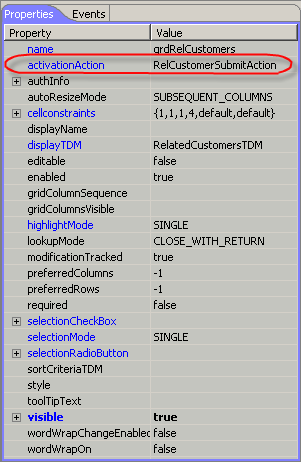 This action would query the database and return the data to be displayed in the grid (in fact – the data will populated relatedCustomersTDM which is used as the Grid’s displayTDM). The Grid activationEvent is now related to its event handler.